Iris Garden @ Bandar Saujana Putra situated in harmony with striking natural surroundings. Spread over 835 acres, Bandar Saujana Putra is a mix-development township has an easy access through ELITE highway, KESAS, NKVE and LDP highway. 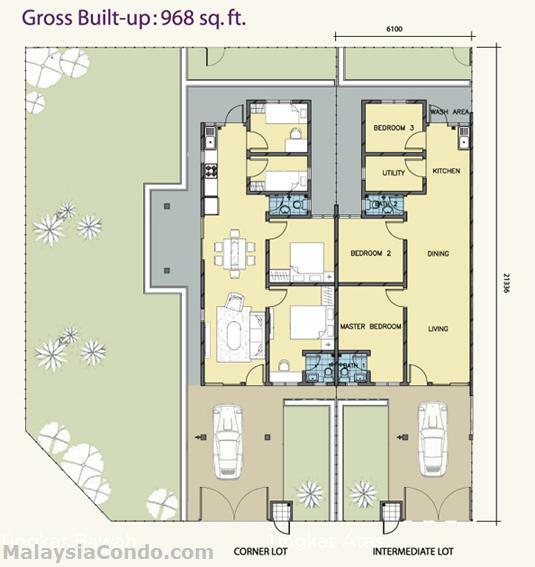 Iris Garden @ Bandar Saujana Putra comprising 220 units of single storey terraces. Land area measuring 20' x 70' and has a built-up area of 968 - 1,139 sq.ft. Built-up Area : 968 - 1,139 sq.ft.